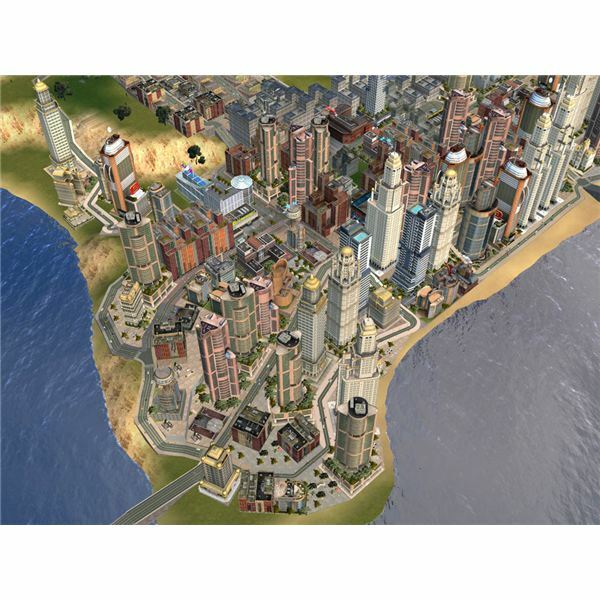 SimCity Societies is a different video game experience than previous titles in this franchise and implements newer concepts than the first SimCity games. In this title you don't have to worry about the careful placement of on-ramps, power lines or RCI zones. You also don't have to take into consideration the strategic placement of police stations, setting tax rates for your city or hooking up the plumbing. In this game, they put more of the focus on managing social energies. There are six energies for you to take into consideration as you play. They are produced and consumed in varying amounts by hundreds of different buildings. You need to balance the competing needs of Creativity, Authority, Prosperity, Spirituality, Knowledge, and Productivity as you play. This concept seems to work, but the way they have designed it lacks focus and isn't as engaging and immersive as the concept could have been. The energies only affect the buildings, so this kind of leaves your Sims out of the fun equation. Your Sims can visit certain buildings and become specialists of one type or another. This does allow them to influence other Sims, but it doesn't change the big picture of playing the game. 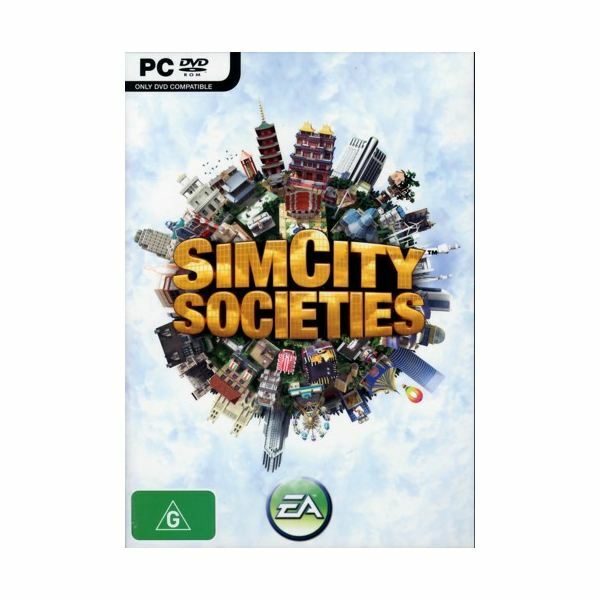 SimCity Societies has an entertaining and engrossing music score that will remind you of the excellent sound quality of previous games in this series. The music sets the mood of playing this simulation video game beautifully, and has a relaxed pace that makes a long playing session a lot more engaging and satisfying. SimCity Societies has an interface and control system that works fast and smoothly while you're building your city. The controls in the game are well designed and responsive to your inputs, and this makes creating cities easy and useful. You can easily place anything you need on the map quickly and efficiently, which makes the actual building of your city the most entertaining part of the game. 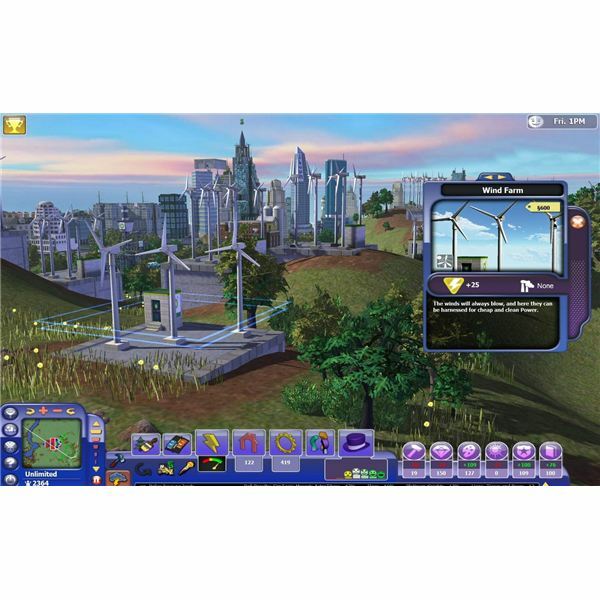 SimCity Societies doesn't require you to take into consideration on making sure all your Sims have everything they need, which was required in previous titles in this series. Just make sure they have a place to sleep, work, and a place to play and you're done taking care of the needs of your Sims. Your Sims can visit certain buildings and become specialists of a certain area. This allows them to influence other Sims in the game, but this doesn't affect the big picture, as it would have in other games in the series. SimCity Societies still has a nice visual presentation that's pleasant to look at. The game has bright and crisp colors that really entertain your eyes. The graphics are a bit cartoon-like at some points but they fit the look of the subject matter in this simulation video game. The artists were obviously given a license to create an exaggerated look that matches the theme of each city and they did a good job with this. 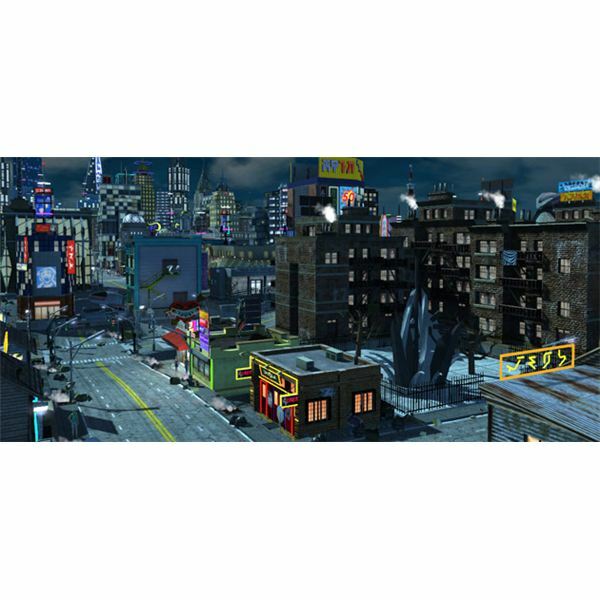 A few of the buildings have a generic look that makes it hard at times to pick them out of the crowd when you need to. The frame rate of this title did start to slow down once your city starts to get large and it slows down even more once you add in the effects.